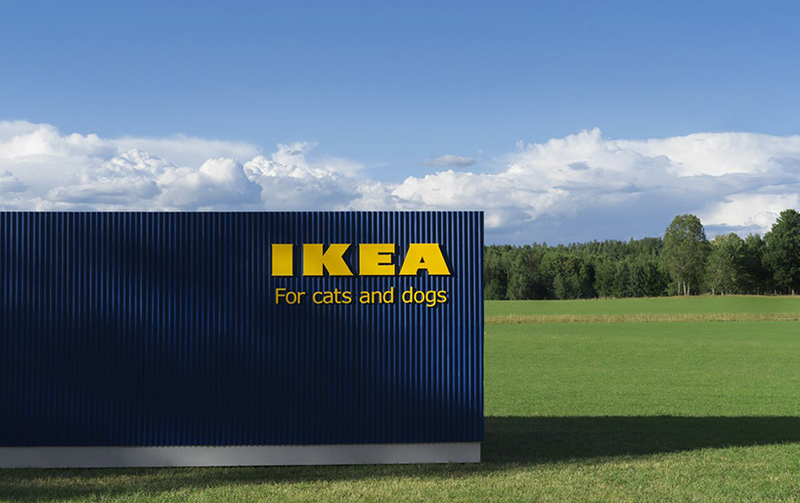 IKEA has always been the one-stop-shop, a place where you can find just about anything. 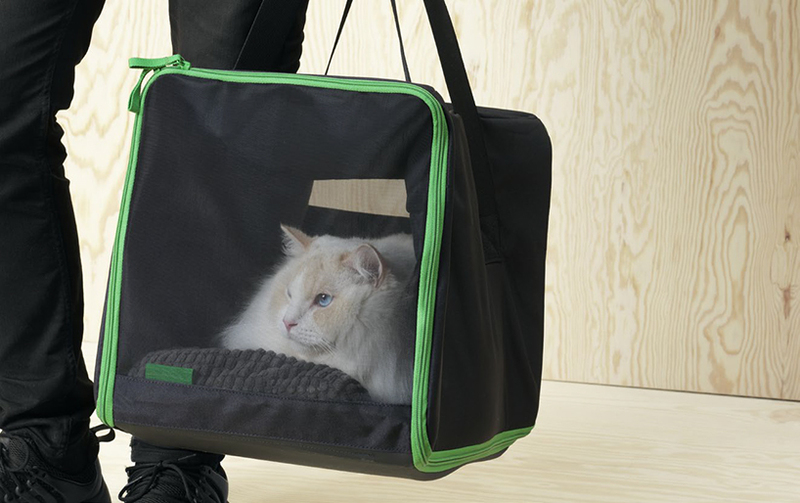 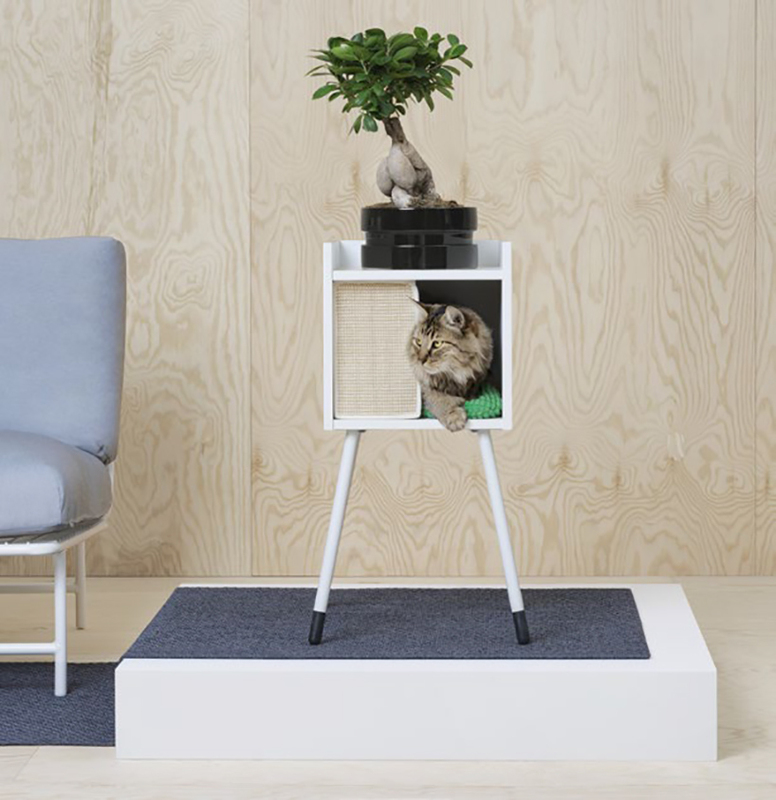 just when you think the store contains everything, the swedish furniture company releases a line of furniture and accessories for dogs and cats — an important member of the family. 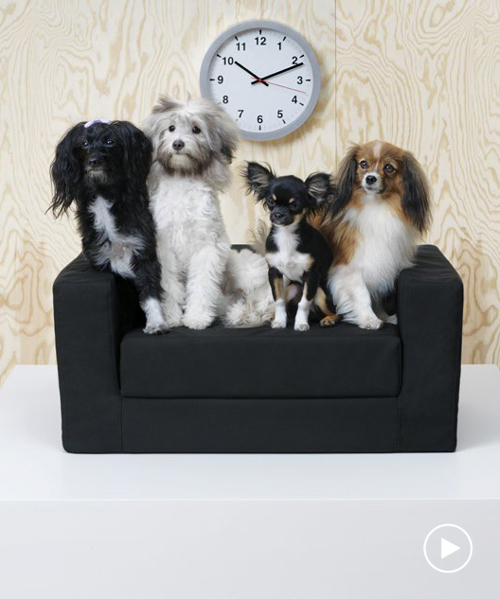 the IKEA design team worked alongside veterinarians to design pieces that are affordable and aesthetically pleasing. 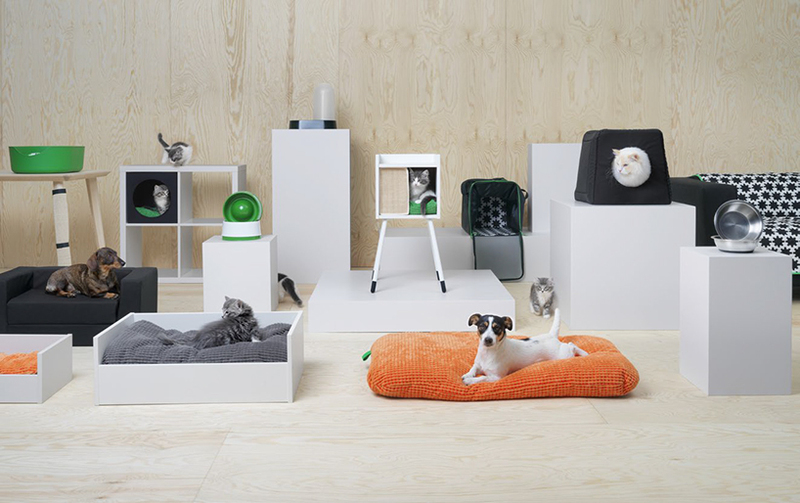 the collection takes into account the typical needs and personality-types of both animals, providing quiet warm places for cats to curl up, and open beds, cushions, and rubber balls that can accommodate dogs of all sizes. 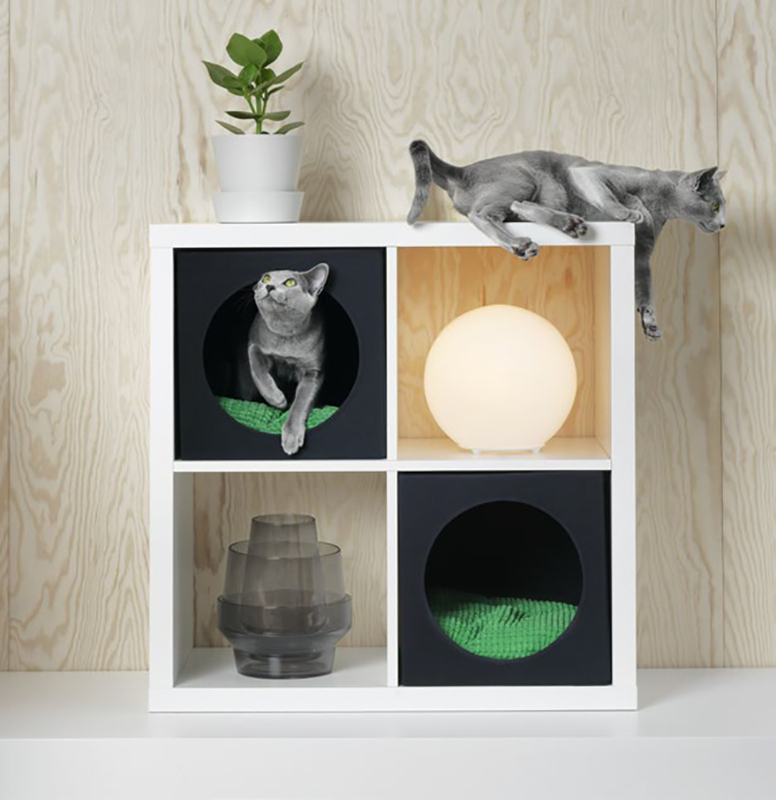 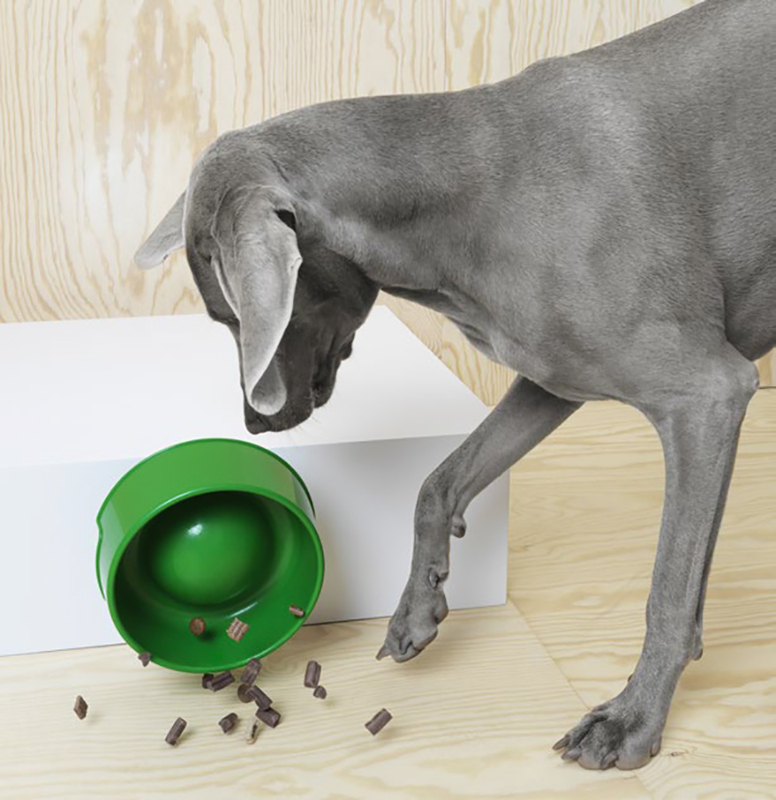 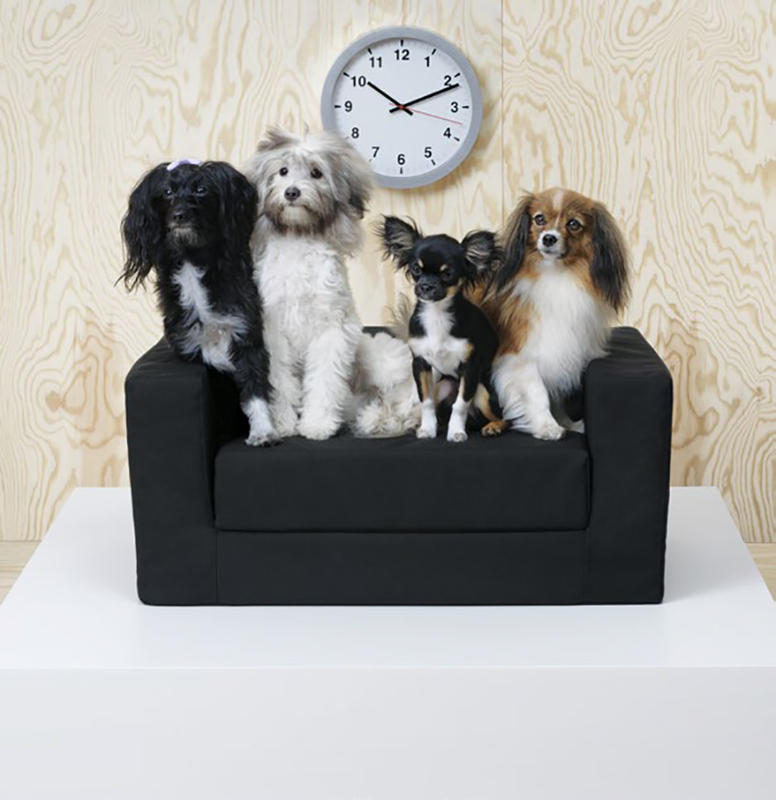 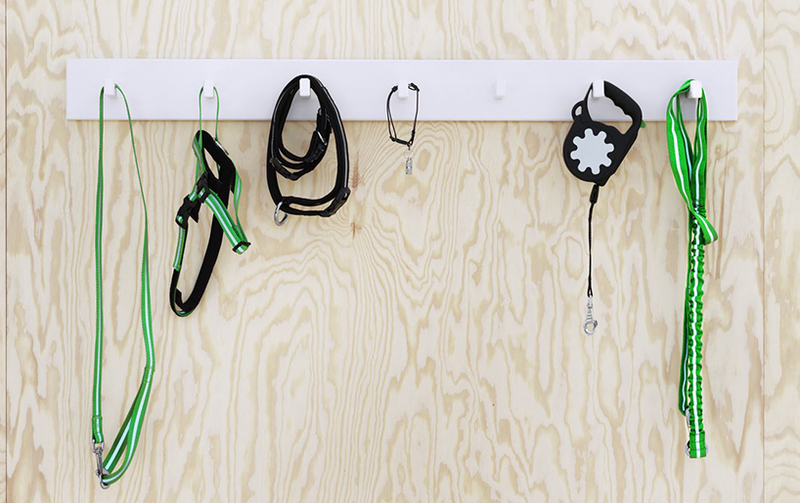 many of the items utilize existing IKEA products transforming them into objects for pets. 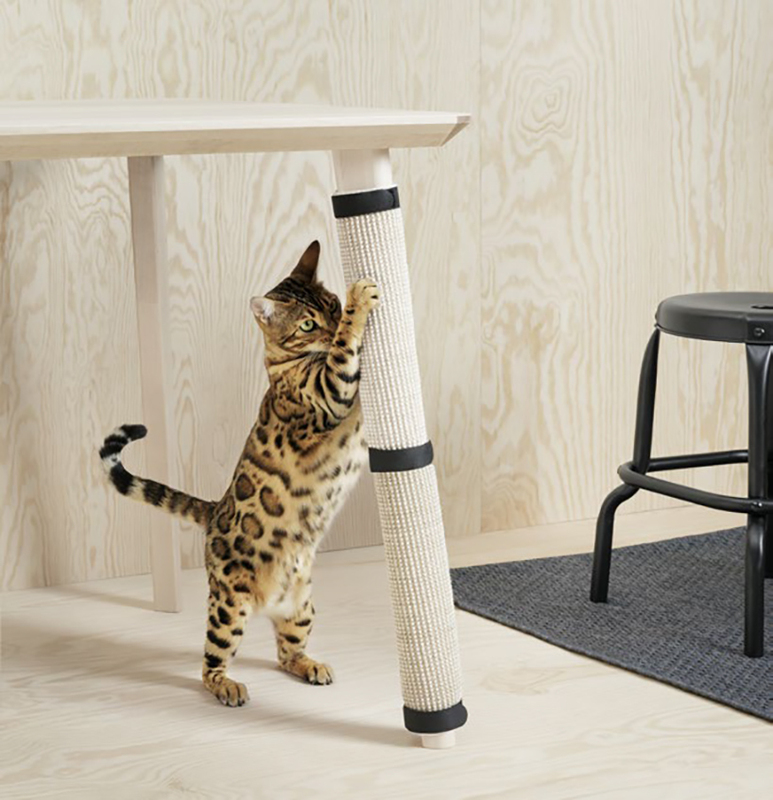 the cat scratch mat with its sewn-in straps, converts the ordinary table leg into a cat’s scratching tree — keeping those same paws from ripping the couch without filling more living space with the traditional cat tree. 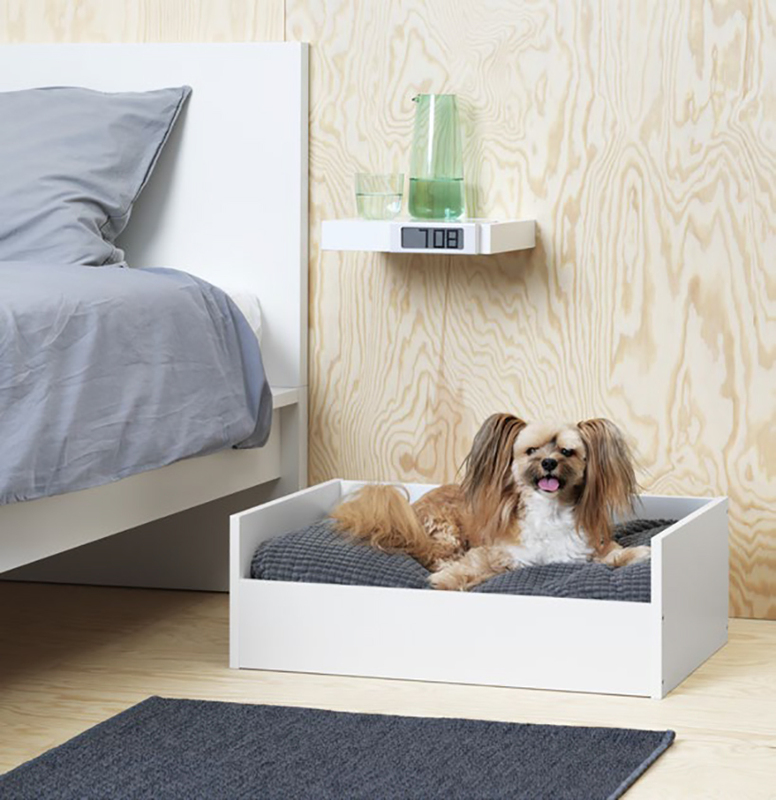 the KALLAX insert integrates a comfortable fabric sleeping space into the company’s popular square storage system.